Canadian Society of Homeopaths is a national association for Canadian practitioners and supporters of homeopathy. This organization is the first of its kind in Canada – a national professional association and registering body that is entirely independent of any particular school. CSH provides a registration process and Directory of Registered Members that brings recognition and legitimacy to our profession and unifies the Canadian homeopathic community as never before. Membership in the CSH Registry confers credentials and credibility on the individual practitioner and assures the public of professional standards of practice and accountability. With an emphasis on what binds the profession together, rather than what separates us, the CSH provides a much-needed unified body to speak for all Canadian practitioners and supporters of homeopathy, especially when dealing with governments and the media. It also provides means for developing a strong professional base and an identity that emphasizes our shared commitment to homeopathy. Of equal importance, CSH is committed to increasing public awareness of homeopathy and to furthering their understanding about its potential in their own health and that of their families and pets. We will continue to play a leading role in representing the interests of our members with governments, businesses, and the media. We invite you to follow these links to learn more about our Society. If you would like more information about the Canadian Society of Homeopaths, please contact our office at 604-803-9242 or homeopathy@csoh.ca. A brief history of the background leading to the formation of the Canadian Society of Homeopaths and the achievements of its Founding Board are contained in the 2006 Report from the Board of Directors. a) To promote unity, co-ordination of activities, and sharing of resources within the homeopathic community through affiliations with regional associations and co-operation with other Canadian and international organizations. b) To establish and maintain a registry of qualified homeopaths that upholds standards of professional excellence and a corresponding directory of registered members for public referral. c) To advocate on behalf of our members and the homeopathic community, with the aim of promoting recognition of homeopathy as a viable health care option and assuring its accessibility to all Canadians. d) To facilitate public awareness, education, and responsible use of homeopathy and to support comprehensive professional training in Canada. e) To carry on any other business or activities which, in the opinion of the Directors of the Society, are conducive to the attainment of any of the purposes above. 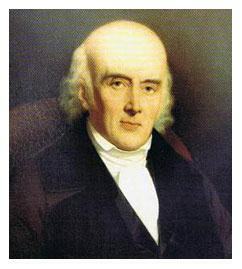 An unalterable clause in the By-laws states that for the Purposes of the Society we accept the principles and practice of homeopathy as outlined in the Organon by Samuel Hahnemann. ● to encourage and promote public awareness and understanding of homeopathy across Canada.